Congratulations! You are taking a vacation to the beautiful Smoky Mountains during arguably the best time of year. I mean, let’s be honest, who doesn’t LOVE the fall? The leaves are different shades of red, yellow, orange and brown. The mountain air is cooling down to the perfect temperature. And don’t forget, Halloween and Thanksgiving are just around the corner. During the month of October, there are SO many things to do in the Smoky Mountains! 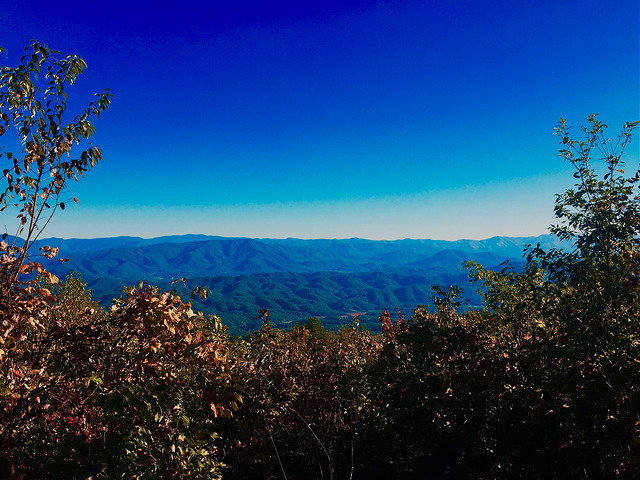 It’s officially October, and you are heading to the Smoky Mountains! Your bags are packed, and your cabin is booked. Staying in a Smoky Mountain cabin is one of the best ways to celebrate the coming of fall! Imagine an entire weekend or week of nothing but exceptional mountain views, homemade breakfast and uninterrupted family time. Does it get any better than that? October = OktOberfest in Germany! One of the world’s most famous festivals and celebrations takes place during the month of October in Germany! Why not bring the fun to Gatlinburg, Tennessee? The 8th annual OktOberfest will be held at Ober Gatlinburg this month with lots of activities to choose from! Enjoy the music, German cuisine and authentic beer! It will be a day you will never forget! What says fall more than a day at the pumpkin patch? Pick out your favorite pumpkin, a warm cup of apple cider and sit tight on your hayride! Pumpkin patches bring the fall atmosphere to life! Bring the family and enjoy East Tennessee’s beautiful fall season. We recommend visiting Kyker Farms this fall. The air is crisp; the street is decorated in its fall best, and you are walking throughout downtown Gatlinburg. It sounds like the perfect time to stop in at the Pancake Pantry for some hot coffee and a delicious short stack! A long time favorite, the Pancake Pantry is known for its wide selection of pancake flavors and southern cooking! Come in for a homestyle breakfast this fall and stay a little while! During the summer months, it is hard to hike those long trails. The sun is beating down on you; humidity is at an all time high, and you just don’t have the energy! You know that trail you’ve wanted to hike, but it’s a little too long for your comfort? Put on your hiking boots, your favorite fleece jacket and grab some water. It’s time to hit the trails! The fall weather permits for longer outdoor activity AND it’s more enjoyable, we promise. People from all over the country, even the world, rave about the fall foliage in the Smoky Mountains. People dream about staring out into the colorful, fall abyss while drinking a cup of something warm, in their pajamas. Luckily, our Smoky Mountain cabins offer just that! Incredible views, mountain air and luxury at its finest. An eight-mile loop of unique handcrafted arts and crafts! Even if arts and crafts aren’t your hobby or interest, this community is accessible by walking or taking the trolley and offers collectibles and gifts you can only find in the Smokies! Learn more about the local businesses and artists who live in Gatlinburg this fall! There’s always something to see! It is October, and that means Halloween! If you love a good scare, like I think you might, it’s time you head down to Gatlinburg and attend Ripley’s Haunted Adventure! This spooky attraction is open year long. However, they turn up the heat for Halloween! Come if you dare, but be ready to be scared! Celebrate Halloween with a night at the Island at Pigeon Forge! Make sure to pack the kids’ costumes and bring a big bag for candy! The Island will host a trick or treat event with all of the businesses throughout. Go door to door in Pigeon Forge and collect candy from store owners and locals! The kids will have a very good time and still be able to show off their Halloween costume! This one might be our favorite. Can you blame us? Yes, the weather is chilly and the night has fallen. What are you going to do? Replace that warm blanket with a relaxing soak in your very own hot tub! Bring your favorite book and unwind as nature surrounds you! It is rare that you can relax and enjoy your surroundings. Do just that! Book your stay with us at Timberwinds and enjoy ALL that fall has to offer! We promise you will have an unforgettable trip! We can’t wait until you arrive.